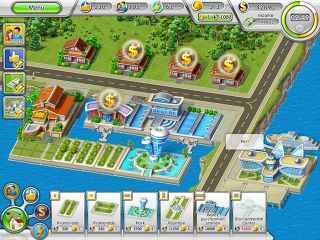 Free Download Green City: Go South Game or Get Full Unlimited Game Version! 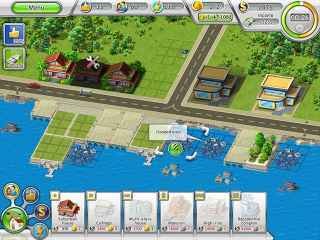 Feel summer blossom as you develop the infrastructure of lush coastal lands. Build a flourishing Green City in the middle of the ocean! In order to get advantaged of playing Green City: Go South full unlimiteg game version you must register the game. Build a green paradise in the middle of the ocean! Feel summer blossom as you develop the infrastructure of lush coastal lands. Create a beautiful archipelago made of recycled garbage and establish a flourishing Green City in the open sea! Arrange green spaces and construct promenades, cinemas and waterparks while building generators and power plants to flood your city with eco-friendly light. Select from 4 types of buildings: residential, commercial, eco and energy-providing. Select upgrades from ecological to energy-efficient. Prove that oil derricks aren't the only things that can be built on the open sea! Bring out the engineer in yourself and do your best to turn polluted offshore islands into a tourist paradise in this amazing time management game! 45+ unique and challenging missions! Prepare to go on a fantastic journey which will take you from damp prehistoric forests, to the sultry deserts of ancient Egypt, to dirty Wild West saloons, and luxurious medieval castles! Help Emily restore the farm, or soon it'll be a chemical waste site. The miracle of the Green Moon, which flourished with plants of all kinds, had lasted for only a few moments. A cataclysm made the Moon lifeless again. Find out why!